Why Homeowners Everywhere are Scotchgarding Carpets. Scotchgarding carpets? 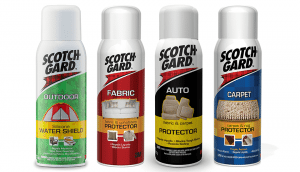 Scotchgard is a collection of products by 3M. They represent stain repellents and long-lasting water repellents used on furniture, fabric and carpets as a form of protection against stains. The first Scotchgard formula was invented by accident about 65 years ago by the famous chemists Samuel Smith and Patsy Sherman. In the recent period, there are more and more homeowners around the country who are scotchgarding carpets. You are probably wondering what’s the hype about this product, keep reading because we will mention some of the advantages of scotchgarding carpets. To start with, scotchgarding carpets is a procedure that provides better protection for every type of carpet. By providing an extra layer of protection you will be able to expand the life of your favorite carpets. Scotchgarding works great against stains from water and dirt accumulation. Furthermore, in case your carpet is placed in an area where it is exposed to high amounts of traffic. Scotchgarding carpets is a very good option because it makes the fibers more resistant to soiling. What is even better is that even simple vacuuming will provide better results because the dust and dirt won’t go deep inside the carpet making the vacuum cleaner ineffective. Scotchgarding carpets is good for the future cleaning procedures. Namely, the carpet won’t get so dirty and the cleaning will be much simpler, easier, and more efficient. Even stain removal is easier because as we already mentioned. This product and procedure doesn’t allow complete bonding of the stains and carpet fiber. Scotchgarding carpets can help you save some money. If you use this procedure at least once a year, you will not need professional cleaning services so frequently which mean that you will be able to save some money. Of course, you should not forget to continue with the regular cleaning. Scotchgarding carpets is actually inexpensive. This procedure promises high return of investment. Don’t forget that you have invested a lot of money in your carpets, so spending a small amount of money in order to extend their life and keep them clean is quite logical. In addition, scotchgarding repels liquid and works on almost any kind of material. However, it is not advised to use this procedure on oriental rugs. 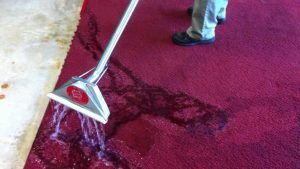 The only downside of this method is that it takes some time for the carpet to dry completely and that you should use it again after some period of time. Ultra Clean Floor Care provides scotchgarding carpets services at affordable rates. While it is true that you can try this procedure on your own. It is also true that if you want to get the job done and use the most of this procedure you should leave the dirty work to some true professionals like the professional team of Ultra Clean. 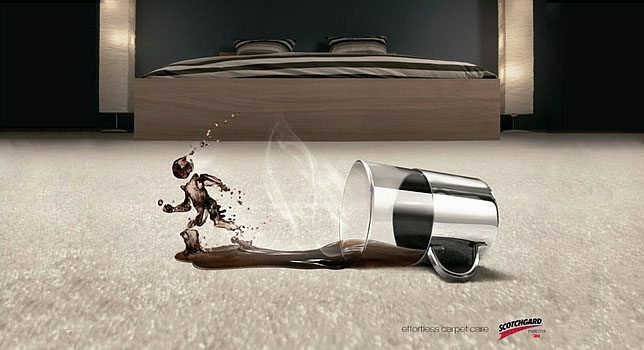 With our help your carpets will be clean and as good as new in a record time. In case your carpet can’t be scotchgarded you can choose another carpet cleaning from our offer. We vouch for our work! Ultra Clean Floor Care is located in Dallas, Texas and serves the Dallas metroplex. Call us today! Schedule your carpet cleaning in Dallas and then let us scotchgard your carpets to help protect your newly investment. Water damage in my Frisco home, who to call for flood damage? Frisco, Does Your Carpet Needs A Cleaning After The 4th Of July? © Ultra Clean, LLC 18208 Preston Rd. D9266 Dallas, Texas 75252. 469-580-8123.